The child is the spiritual builder of humankind and obstacles to his free development are the stones in the wall by which the soul of man has become imprisoned. Born in Ancona, Italy in 1870, Maria Montessori was to become the first woman to graduate from the University of Rome Medical School. Upon her graduation in 1896, she began her work with the University’s Psychiatric Clinic. Her visits with these children prompted her to study the works of Jean Itard and Edward Seguin, Pioneers in special education for the mentally deficient. 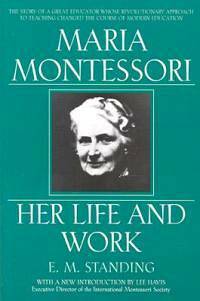 In 1898 Dr. Montessori became director of the State Orthophrenic School. Basing her educational methods on the insights she had gained from Itard and Seguin, she spent the following two years teaching the children, preparing materials, taking notes, and reflecting on her observations and work. As a result of this intensive study, and her discovery that these children could learn many things that seemed impossible, she devoted her energies to the field of education for the rest of her life. Montessori returned to the University of Rome to study philosophy, psychology, and anthropology. The following years provided her with experiences in clinics, hospitals, a day care centre in a housing project, and in schools, which she opened in San Lorenzo, Milan, and Rome. Studying the children in all conditions throughout the world, she discovered universal principles underlying the development of all children.